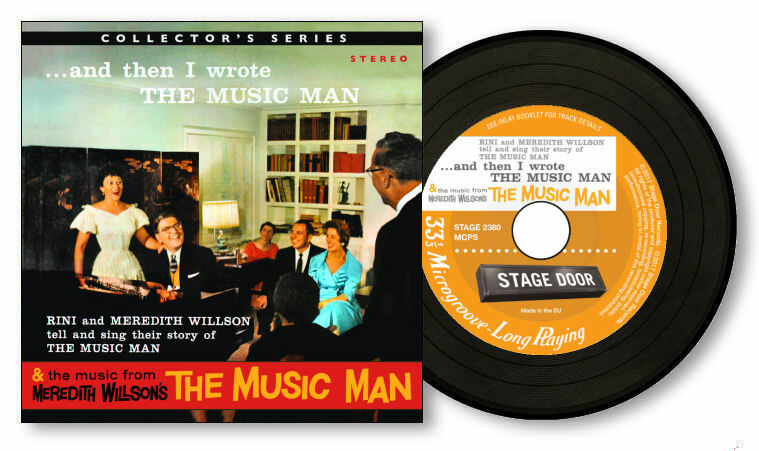 2017 marks 60 years since the iconic American musical 'The Music Man' premiered on Broadway and to celebrate this anniversary, Stage Door are pleased to present on CD, Meredith and Rini Willson's 1959 album '...and then I wrote The Music Man' coupled with the instrumental album 'Music from "The Music Man" conducted by Meredith Willson'. '...and then I wrote The Music Man' features Meredith Willson at the piano, informally commenting on the show, telling its story, and singing the songs with his wife Rini. The recording effectively recreates the backer's audition Meredith and Rini presented to producer Kermit Bloomgarden which secured the production a home on Broadway. 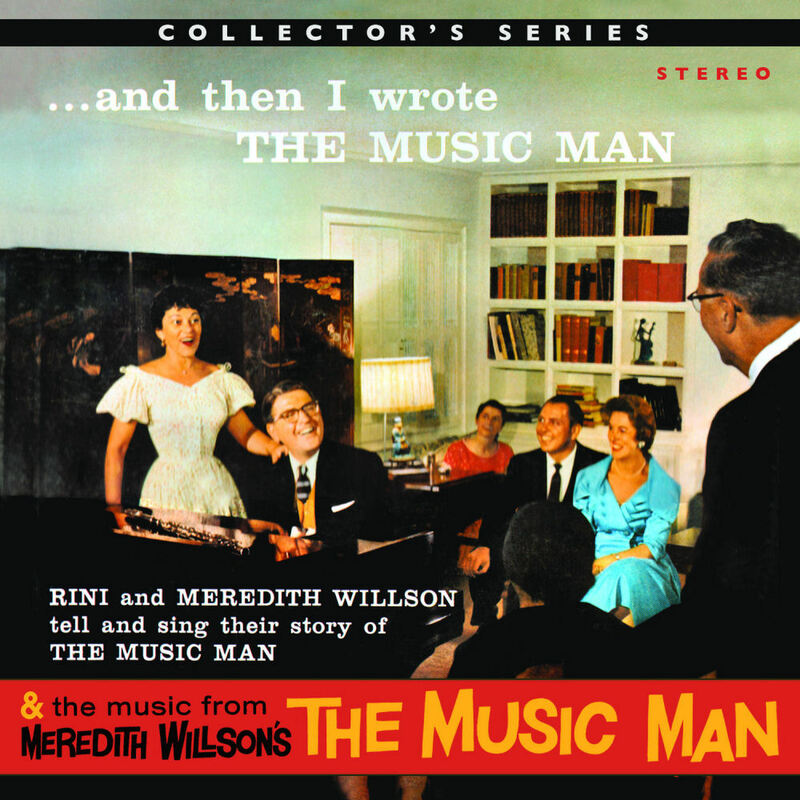 Following the release of the album in 1959, Meredith and Rini embarked on a 20 city tour of the United States, recreating the story of 'The Music Man' in talk and song. The album release also coincided with the publication of Meredith Willson's third autobiography 'But He Doesn't Know The Territory'. '...and then I wrote The Music Man' offered a unique and intimate insight into the creation of 'The Music Man' and has since become a cult favourite with collectors of theatre music. The recording even inspired an Off Broadway cabaret reading based on the album at the Lucille Lortel Theatre in June 2010, with Brian d'Arcy James as Meredith Willson and Kelli O'Hara as Rini Willson. 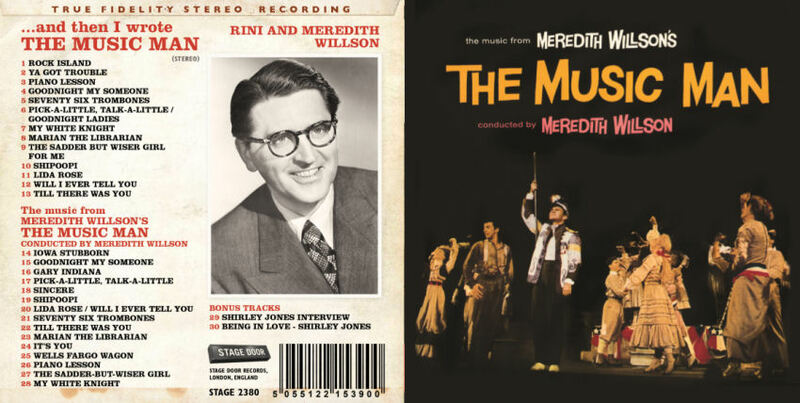 The stereo album now makes its debut on CD coupled with the 1958 album 'The Music of Meredith Willson's "The Music Man" Conducted by Meredith Willson" in which Willson conducts 16 instrumentals from the score. The CD concludes with a rare 1962 promotional interview with Shirley Jones, co-star of the film version of 'The Music Man', followed by Jones' interpretation of 'Being In Love', the song Willson wrote especially for the film to replace 'My White Knight'. The release continues Stage Door's COLLECTOR'S SERIES, a line of limited edition CD products presented in the retro style of a miniature long-playing record. All Collector's Series titles are limited to 500 units.